The much-awaited all-new Maruti Suzuki WagonR will be launched on 23rd January. 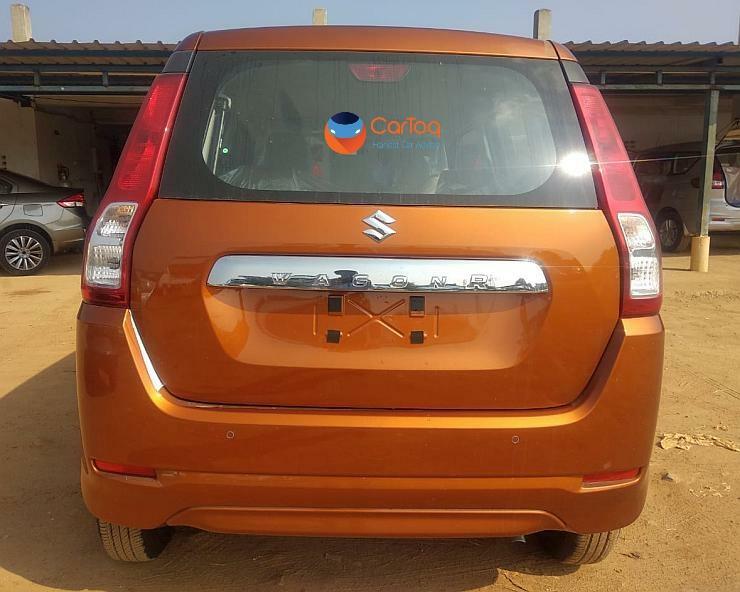 Maruti Suzuki authorised dealerships have started taking the official bookings of the car at a payment of Rs. 11,000 and the deliveries are expected to start on the 23rd of January. The car has been spotted at one of the dealerships and it has been revealed completely in pictures. The all-new WagonR is based on the lighter and stronger HEARTECT platform. It has grown in dimensions too and has become wider by 125mm. The all-new WagonR has grown taller by 5mm and has become 35mm longer. With the new platform underpinning the all-new WagonR, it looks quite different from the current version. It gets new twin-pod headlamps with new bumpers and a new grille. The overall outline of the car, however, remains the same. The all-new WagonR will get 6 body colours out of which four colours are new. The WagonR in the pictures gets the Pearl Autumn Orange colour. Other new colours include Pearl Poolside Blue, Pearl Nutmeg Brown and Magma Grey. The Silky Silver and the popular Superior White will continue to be on the offer. 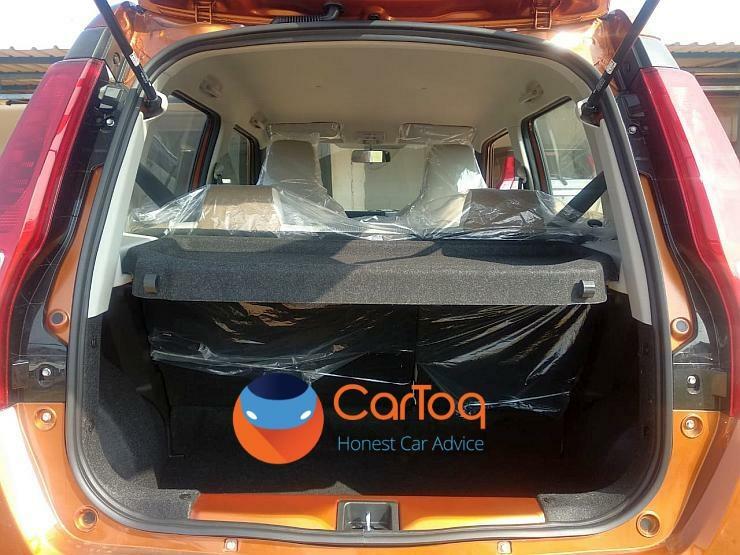 The all-new WagonR also gets revamped rear. The tall tail lamps look quite good on the hatchback while the C-Pillar with black inserts gives a floating effect to the roof. The all-new WagonR is much safer than the current generation car. 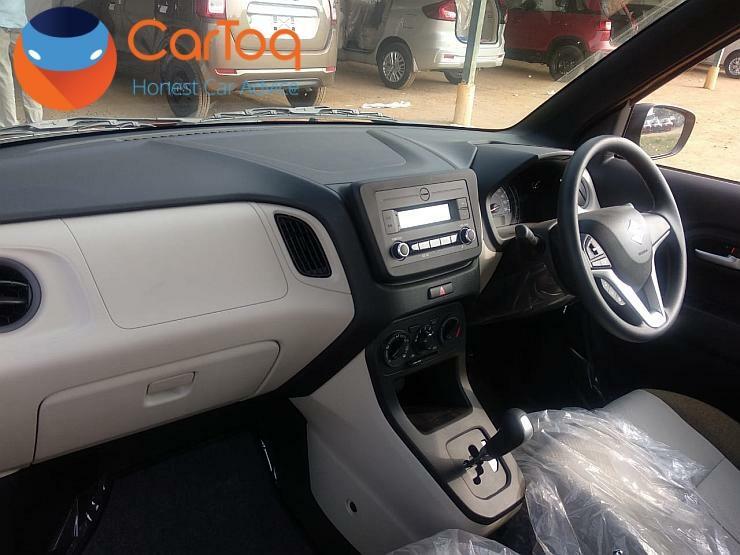 With the new upcoming rules, the upcoming WagonR will get driver-side airbag, ABS + EBD, front seat belts reminder, speed alert system and rear parking sensor as standard across all the variants. There will be three trims – LXi, VXi and ZXi available with the all-new WagonR. For the first time ever, it will get two engine options – 1.0-litre three-cylinder petrol and the 1.2-litre four-cylinder petrol. Both the engine options get AMT automatic transmission. The all-new WagonR also gain a 7-inch touchscreen infotainment system on the top-end variants. The lower variants, as seen in the picture will get a floating-type infotainment system. 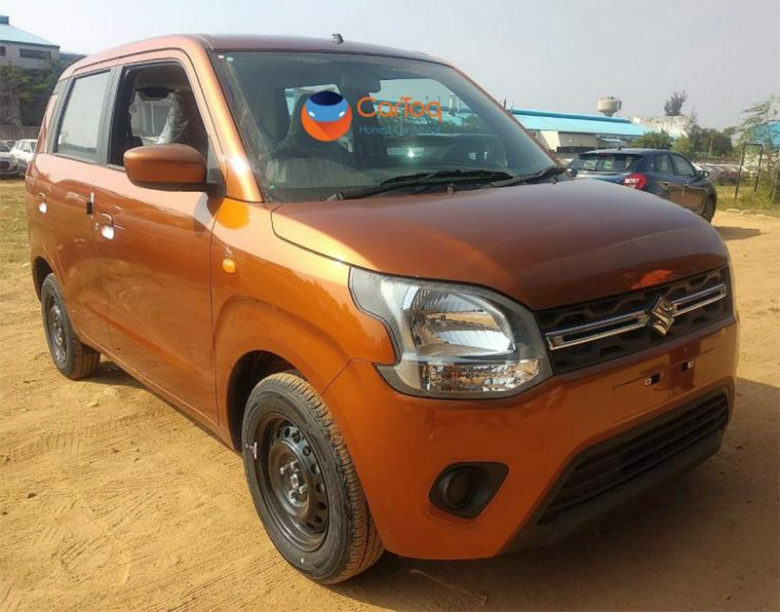 The all-new WagonR will get a revised price tag but we expect it to be priced near the Hyundai Santro’s price in the Indian, The all-new WagonR will take on the all-new Hyundai Santro directly and will open up the decade-old rivalry once again.